What a fantastic combination of flavors for this favorite meatless pasta dish. Olive oil, walnuts, garlic, and your favorite pasta. For our family, this is a traditional dish for our meatless Christmas Eve dinner. But, you don't have to wait a whole year to enjoy this flavor-filled pasta dish. This makes a perfect quick and easy meal for any meatless day on your menu. This one is so quick and easy you could have it on the table in 30 minutes or less. So, it's perfect if you worked all day and want a meatless meal. 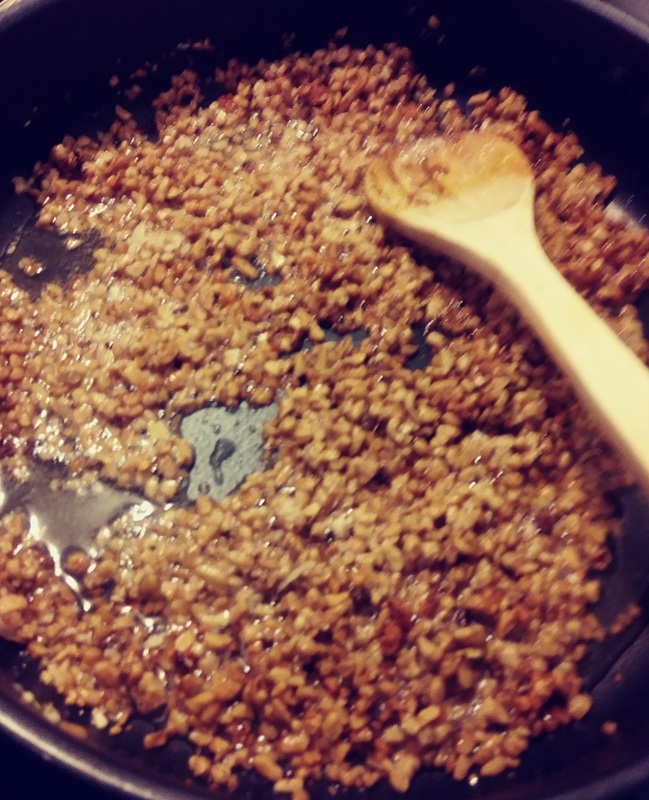 In a 12-inch pan Saute' the olive oil, garlic, and walnuts over medium to low heat. Saute' until the walnuts are toasted and browned. Start and cook your favorite pasta. We always use spaghetti. 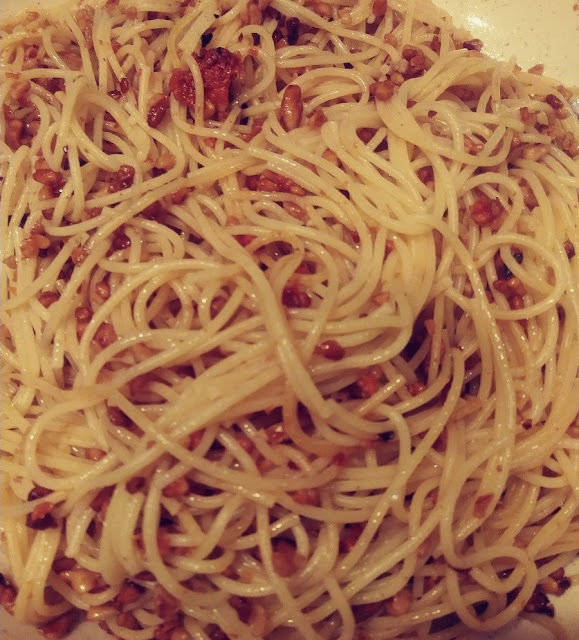 When the pasta is cooked to your liking, drain it and add it to the Saute' pan. Toss together until all is mixed well. Add your Romano or Parmesan cheese and enjoy. There are some options to add if you like them. I'll mark the options in the ingredients. In a large pan add the olive oil and heat over low heat. Add the garlic, and chopped walnuts. This would be the time to add the pepper flakes and lemon zest if you choose. Saute' until the walnuts are toasted careful not to burn. Add the cooked pasta to the saute' pan and toss. Garnish with parsley if you like and serve. Chestnuts are one of my favorite seasonal snacks, especially during the Holidays. Chestnuts are in season from about September to January making these little beauties very popular during the Holiday season. No, you don't really need an open fire to roast chestnuts. 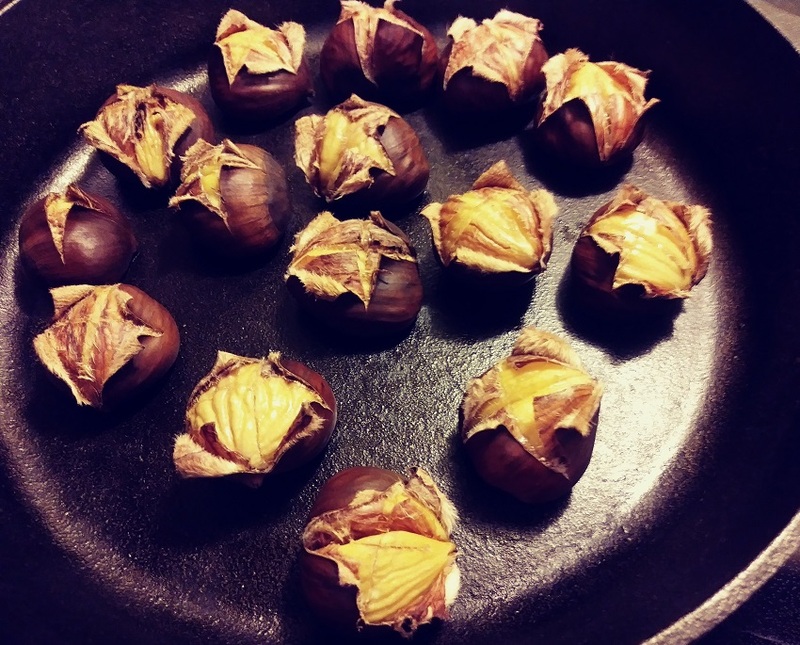 Oven roasting chestnuts is really a very simple process. Choosing the right chestnut is also easy. Look for the larger shinney chestnuts and heavier by weight. These will be what I call the meatiest. Place them in a bowl or pan and fill with water. Soak them for 30 to 60 minutes. Place the chestnuts on a cookie sheet cut side up. I used my 10-inch cast iron skillet to roast mine. Bake the chestnuts for 20 to 25 minutes. You'll see the cuts peel back. Remove and cover for about 5 to 10 minutes. Then peel the hard shell and the tough brown skin off and enjoy your chestnuts. Enjoy your chestnuts with a nice glass of red or white wine. Serve as an appetizer or snack at your next party. There is no way it's Christmas without these pecan cup cookies on the cookie tray. 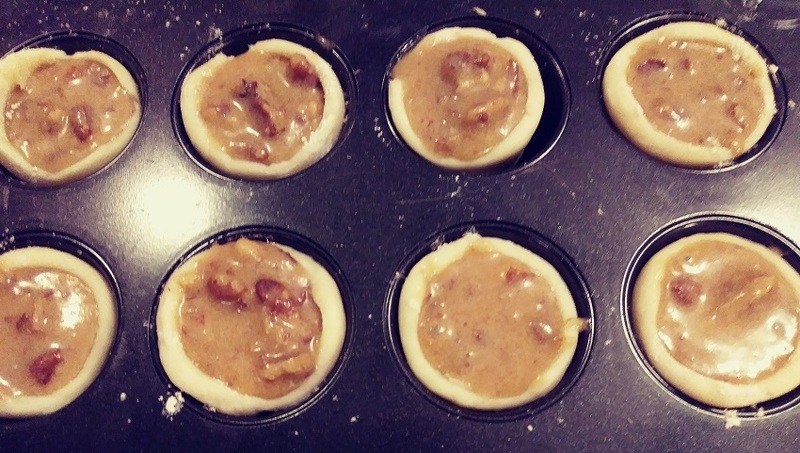 Growing up I really don't remember a Holiday without pecan cups. Whenever someone in the family was getting married, my grandmother, mother, and aunts would all be busy making cookies. And, these pecan cups were always one them. These are really easy to make and oh! so good. You don't have to wait for the Holidays to make these little treats. These are perfect any time of the year and are great with a cup of coffee or tea. 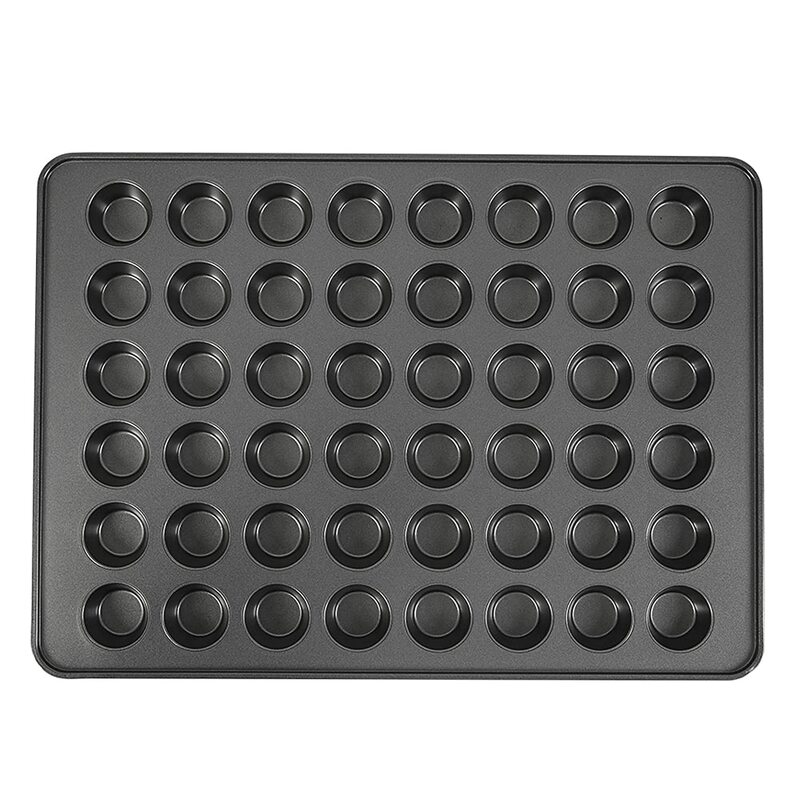 This is Jamie pressing the dough into the mini muffin tin with our handy Norpro Tart Tamper. 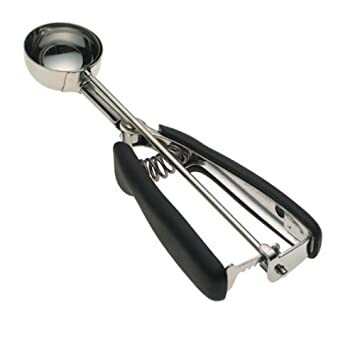 This tool is so handy for pastries and tarts. Notice Jamie's festive "Christmas Story" shirt. The mini muffin tin is filled and the pecan cups are ready for the oven. Blend the cream cheese and butter until smooth. While the dough is chilling let's make the filling. Then we'll get them ready for the oven. Mix brown sugar and butter. Add the egg and vanilla, mix until blended. Now stir in the pecans. Form the dough into 1-inch balls and press into your mini muffin to form a cup. If you are using the tamper have some flour handy it prevents the tamper from sticking to the dough. Fill the cups evenly with the filling. Bake on center rack at 350 degrees for 30 minutes. 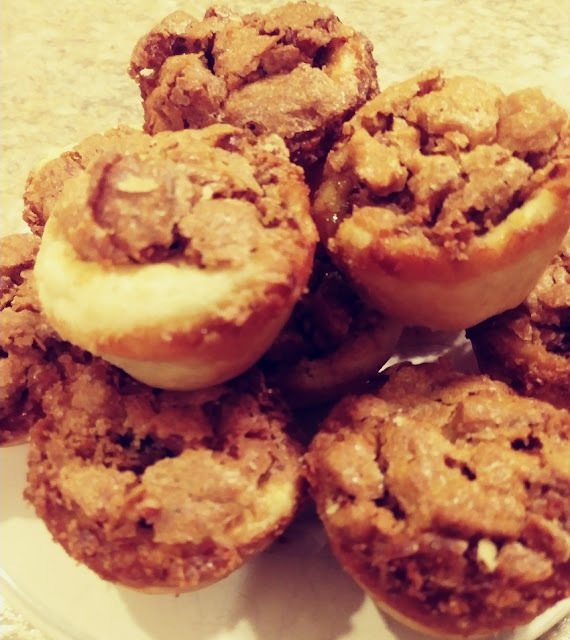 This recipe yielded about 18 pecan cups. We always double the recipe 18 is not enough for me. These no-bake chocolate rum balls are for sure a crowd pleaser. For the last several years I haven't made these for the Holidays. But, this year we pulled out the recipe for these little treats. These are no-bake and oh! so easy to make. I had these finished in about 30 minutes. The rum flavor really comes through after a day or so in the refrigerator. This recipe calls for Vanilla Wafers ground pecans or walnuts, baking cocoa, and powdered sugar. 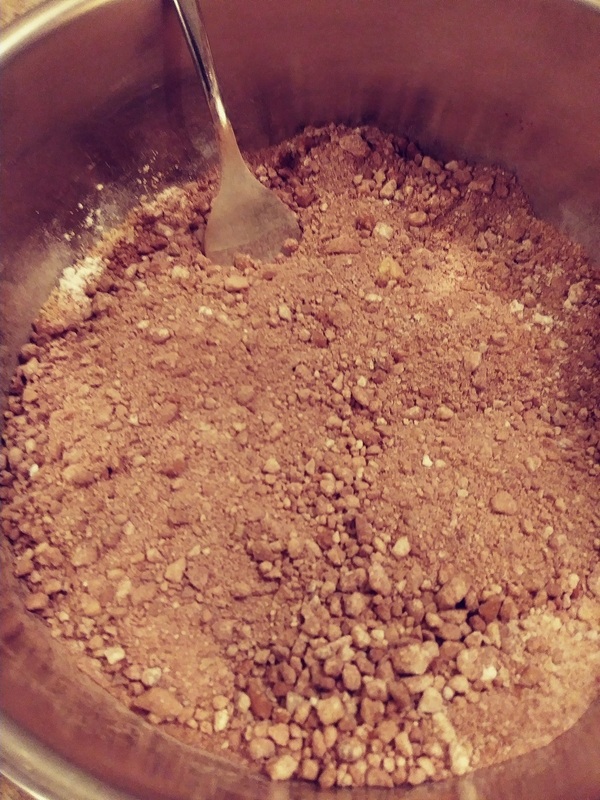 I mixed all of the dry ingredients in a medium-sized bowl and then added the liquid ingredients. 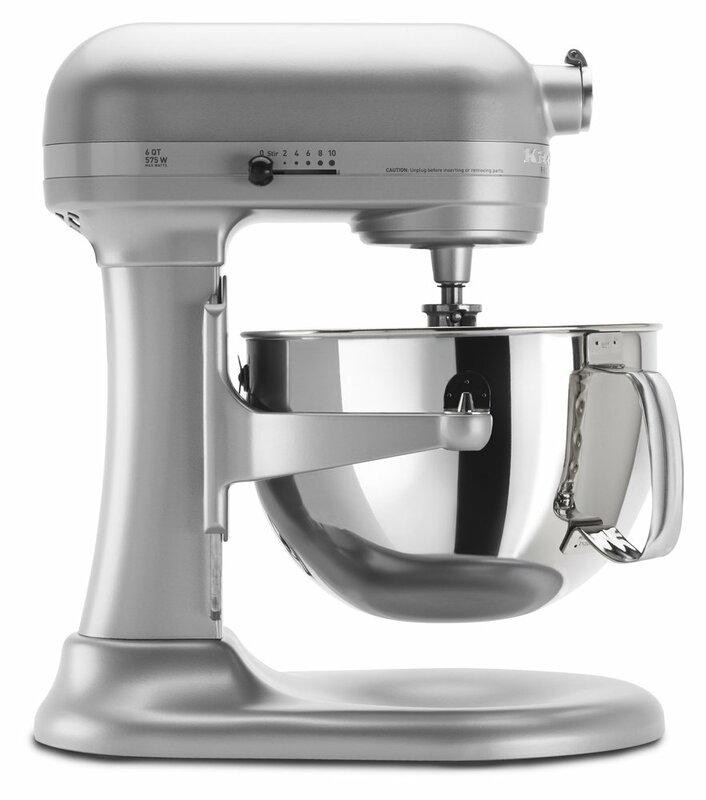 No hand mixer or stand mixer needed here. Just work everything together with a large fork or wooden spoon. Following you'll find all of the ingredients and directions to make these little beauties. Add all dry ingredients into a medium-sized mixing bowl. Add rum, honey, and water and mix until all combined. 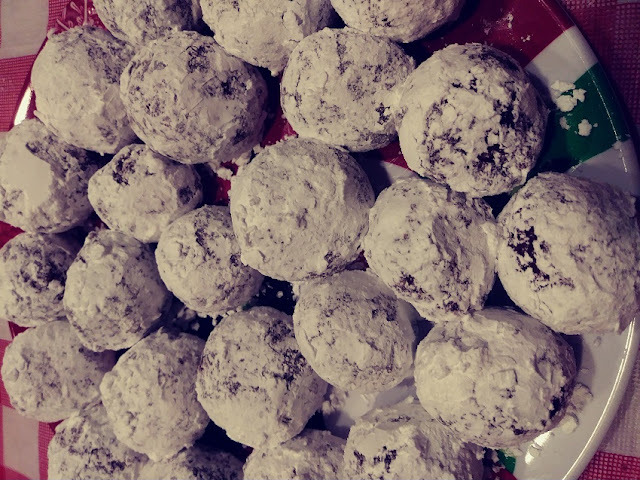 Roll into 1-inch balls and then roll in more powdered sugar. I yielded about 30 of these chocolate rum balls minus the ones that I ate along the way. 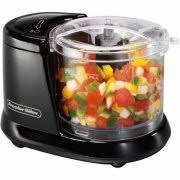 To grind the pecans fine enough I used my handy Hamilton Beach Mini Food Chopper. 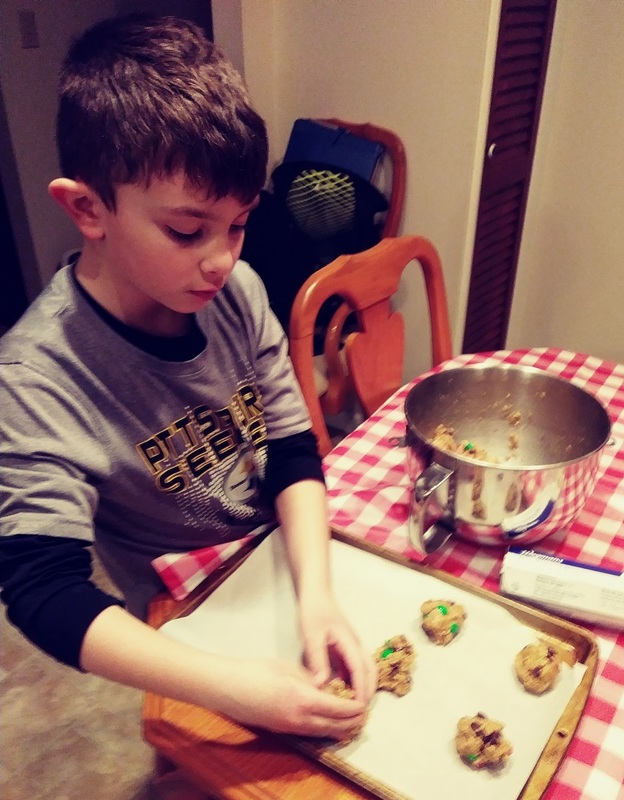 Cookie week continues at our house with this easy monster cookie recipe. here is another favorite festive cookie Jamie makes every year. These cookies are made with oatmeal and peanut butter and there is no flour added. 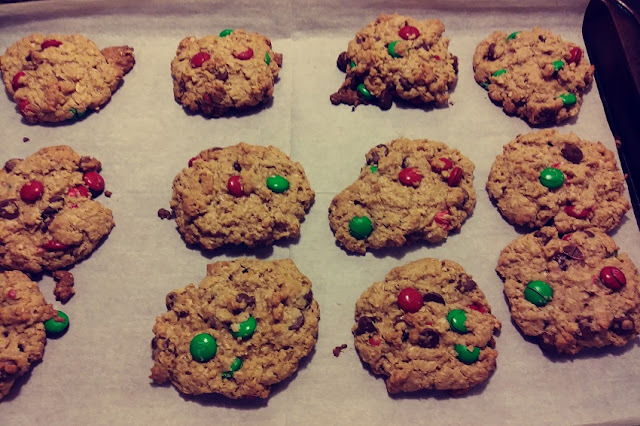 These cookies will be gluten-free only if you use the gluten-free oatmeal. 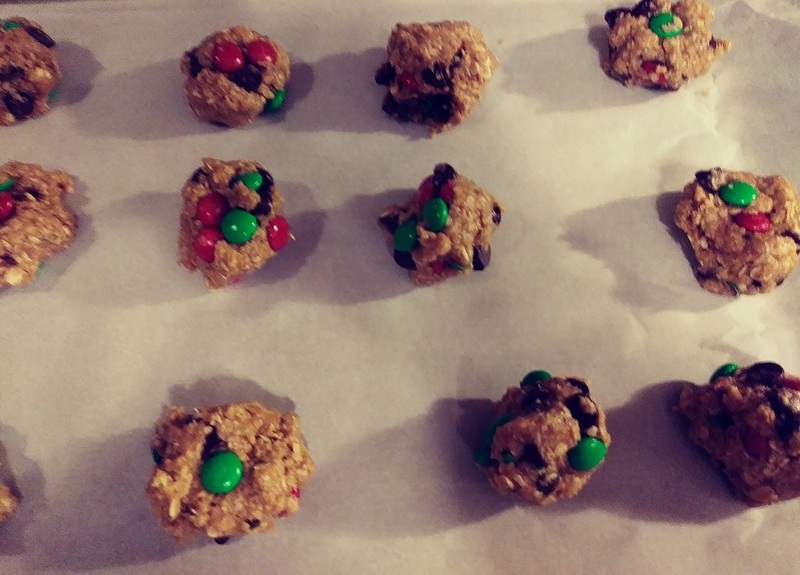 Jamie makes these festive by using the red and green M&Ms. 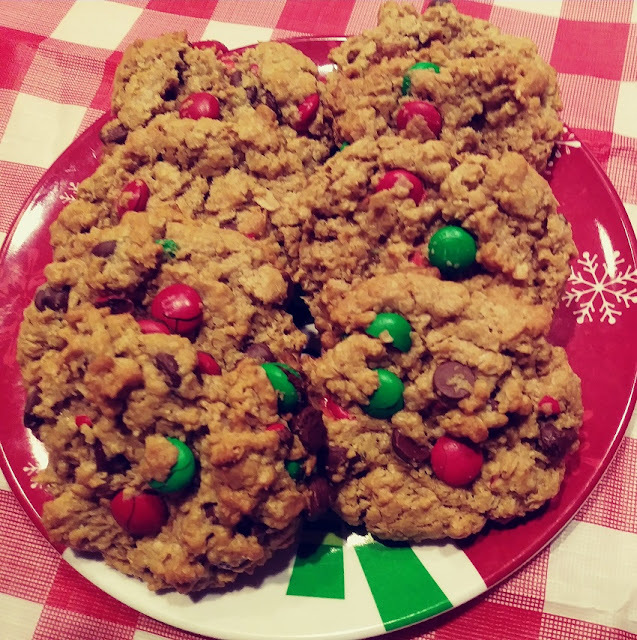 These cookies are a treat any time of the year and oh! so easy to make. Tyler is helping by rolling the mixture into large balls and placing them on the cookie sheet lined with parchment paper. On the cookie sheet and ready for the oven. Tyler used about 2-heaping tablespoons each to rolls these out. In a large bowl add eggs, brown sugar, and white sugar. 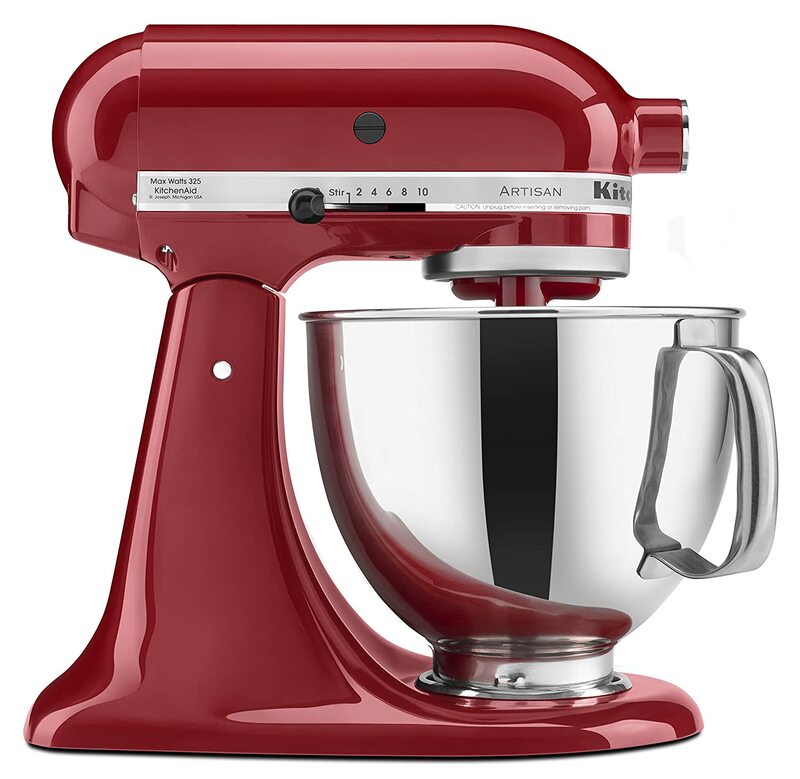 Mix well, using a hand or stand mixer. Add baking soda, vanilla, salt, peanut butter, and butter. Mix until you have a creamy mixture. Now add oatmeal, M&Ms, and chocolate chips. Stir until combined you'll have a sticky dough. Use heaping tablespoons to form balls and place them 2-inches apart on a parchment lined cookie sheet. 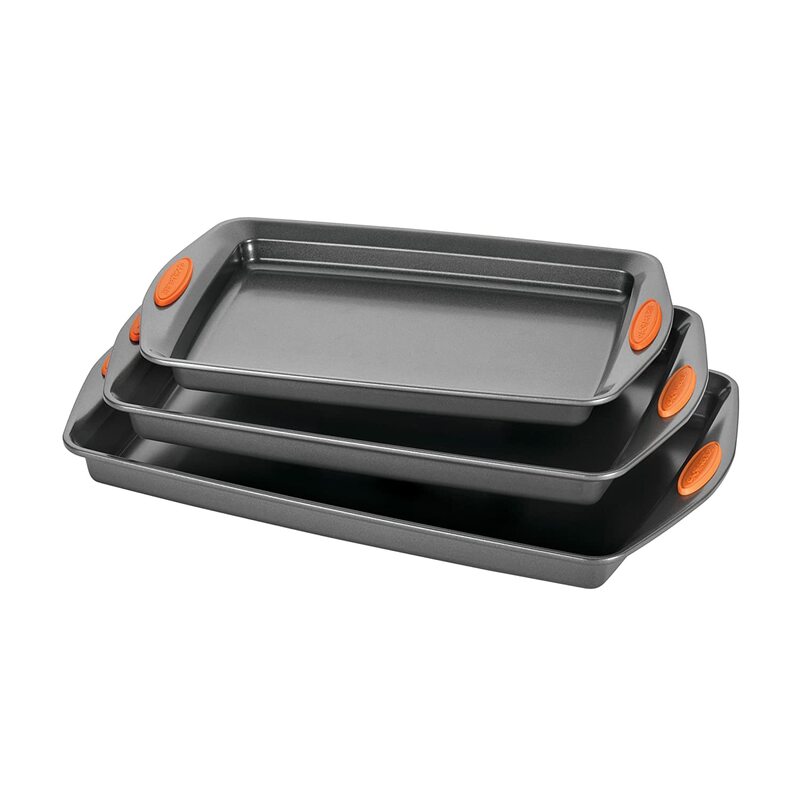 Bake at 350 degrees on center rack for 8-10 minutes. Let the cookies cool on the cookie sheet for a couple of minutes. the move them to a rack to cool. These monster cookies are cooling right out of the oven. The recipe yielded about 3 to 4 dozen cookies depending on how large you make them. This is cookie week in our house. 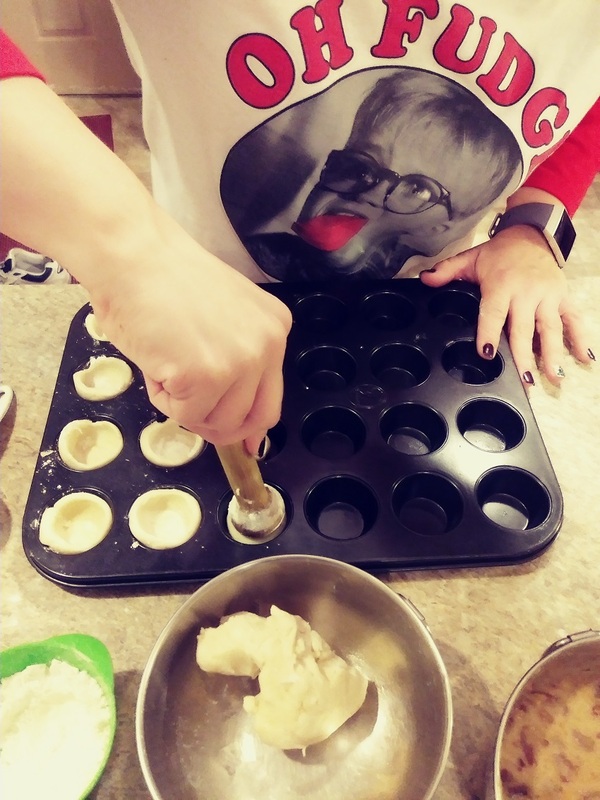 We spend most for the week making all of our Christmas cookies. Jamie makes these amazing cinnamon-sugar cookies every year for the Holidays. 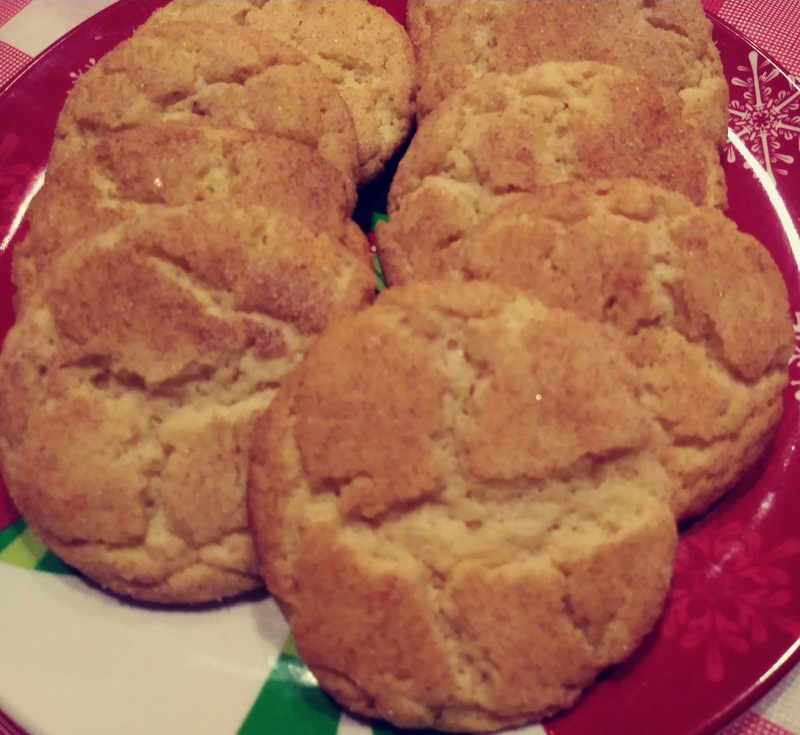 But, you don't have to wait for the Holiday's to make these crispy chewy easy snickerdoodle cookies. These cookies are a hit any time of the year. I just love the aroma that fills the house when these are in the oven. Snickerdoodles are very similar to sugar cookies. What sets them apart is the cream of tartar in the recipe. And, these are so easy to make. 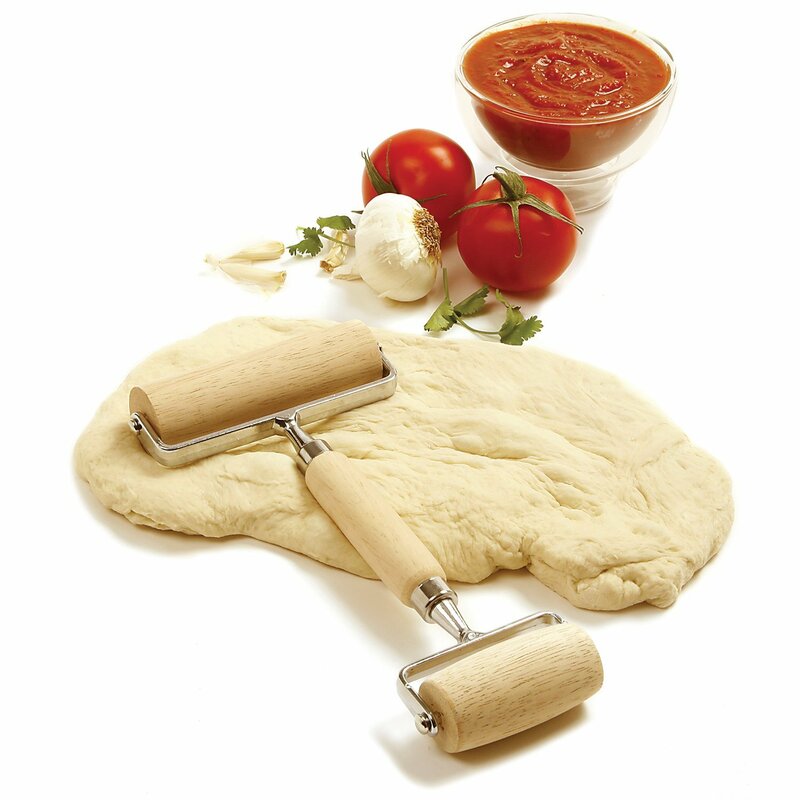 Roll the dough into 1-inch balls. Then toss them in a mixture of cinnamon and sugar. 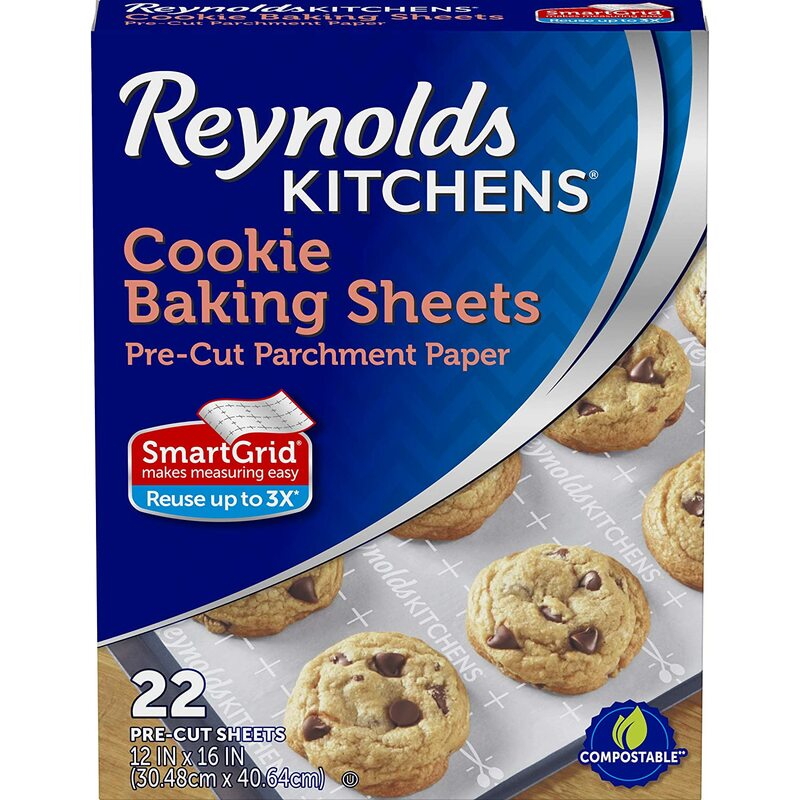 Place them on your cookie sheet lined with parchment paper about 2-inches apart and bake. Let cool for a couple of minutes on the cookie sheet. Then Jamie places them on the table to cool. And, you'll find me right behind her eating them as the cool. Mix together the 1-1/2 cups sugar, the eggs, butter, Crisco, and the vanilla. Add the flour, cream of tartar, salt, and baking soda. Mix until a ball of dough forms. Mix the 1/4 cup of white sugar and cinnamon in a shallow bowl. 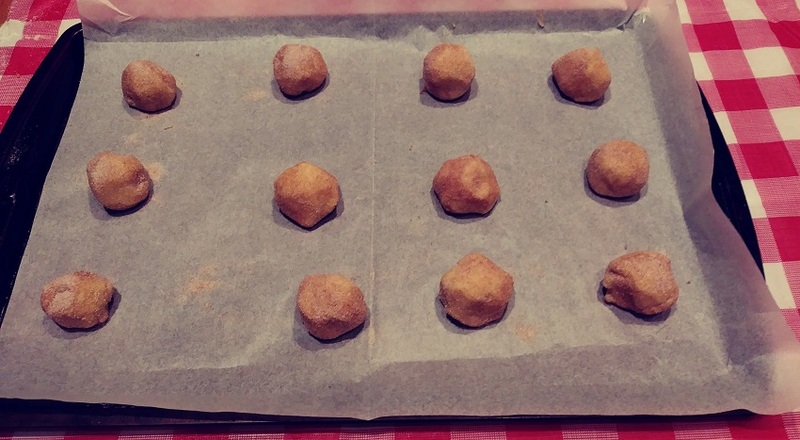 Form 1-inch balls or a little bigger if you like and roll in the sugar-cinnamon mix. Place on the cookie sheet about 2-inches apart. Bake at 400 degrees on the center rack for 10 minutes. 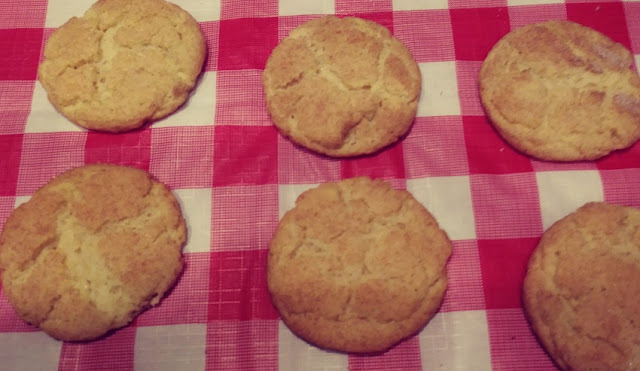 We yielded about 48 wonderful snickerdoodles from this recipe, minus the ones that I ate as they were cooling off.